Birthday happens every year. But somehow it is accepted to celebrate the most important date, one of them 14 years old, when teenagers get a passport and become almost adults. A day like this I want to mention especially, because the passport will be given only one time in my life. Fourteen is a difficult age. Your child have been raging hormones. At this age, teenagers are not children but not yet adults independent people. But right now they are trying by all means to show their maturity. So with the choice of script, locations, menus and other attributes of the holiday will be quite difficult to please. At age 14, the teenagers consider themselves adults, and parents, the elderly. No need to come to the party clowns and magicians. It all seems teenagers childish prattle, which is not worthy of attention "adult". 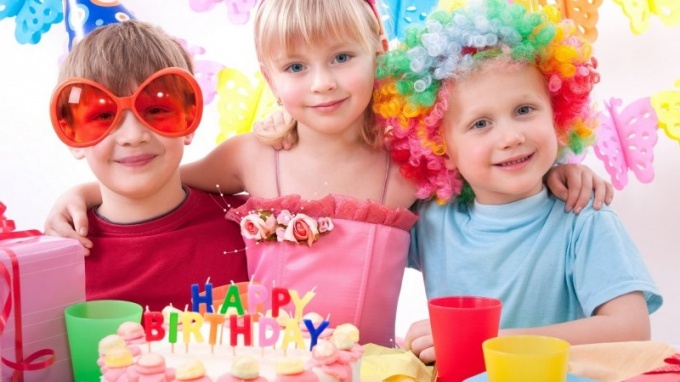 At the birthday party of your child will be his friends, most of his class or an additional section. At this age it is very important to make the right impression on friends. To please a teenager with entertainment – so, to please his friends. The more enthusiastic exclamations and glances, the udovletvorenii your holiday will remain your child. He knows best, the interests of the company. Therefore, composing the script of the holiday, you need to ask the birthday boy what he wants to see and hear at your celebration. A place that will host the occasion, is of great importance. From the choice of location depends on the holiday program. The first place that arises, is the house. Only your child probably won't want an important date to celebrate at home under your strict supervision. If funds allow, you can send teenagers to the entertainment centre. In any similar centre has a cafe. You can rent it for a couple of hours that children satisfy hunger. And you can just negotiate with the cafe Manager, so they ordered everything that I want. You then just pay the bill. You can send the kids to the water Park or to a roller rink, bowling alley or on the tennis court. It all depends on what motivates your child. If the child's birthday happened in the summer, the perfect place to celebrate – the Bank of the river, lakes or the sea, depending on where you live. In nature it is possible to arrange the children on an adventure. In advance choose a picnic area. Prepare around various obstacles in the form of fallen logs and rope bridges. Install guidelines. They can be these obstacles, scratches on trees, terrain features. Map it is the area with landmarks. And in place of X "bury" the treasure. Treasure can serve as your gift. This adventure will appeal to any teenager. Menu depends on the location and scenario of the holiday. In a cafe it may be French fries, burgers, light salads, chips and other fast food. If a holiday occurs in nature, it definitely will be a barbecue, the same salad, maybe chips. Holiday at home suggests the presence of snacks, hot and sweet. Wherever the holiday, allow your child to choose a range of dishes. It is best not to overload children's stomachs abundant food. Serve sandwiches and canapes, a La carte pastries and sweets for dessert. The cake should be to the birthday boy blew out the candles, but not too fatty and high in calories. It is best to apply yogurt dessert. About alcohol, parents should decide for themselves. Every family has its own rules, and the question is quite delicate. If Teens decide to try alcohol, they will not stop the ban. So you need to talk to the birthday boy and the parents of friends. To arrange your child an unforgettable holiday not only enjoyable but also quite challenging. It is necessary to spend a lot of time and effort, but the result is pleasant not only for daughterbut also to you. After all, you can give her a wonderful holiday which will forever remain in her memories. To accomplish this you can ask for help from their friends, among whom may be moms friends daughter. Help could include: the purchase of holiday decorations. It caps, flags, cake candles, balloons, pipes, festive napkins and disposable tableware in color, etc. With the serving of the holiday all solved, now on to the custom cake and the holiday itself. There are a large number of agencies holding an event for children. In this Agency it is advisable to order from the presenter, who will give a program at its best. 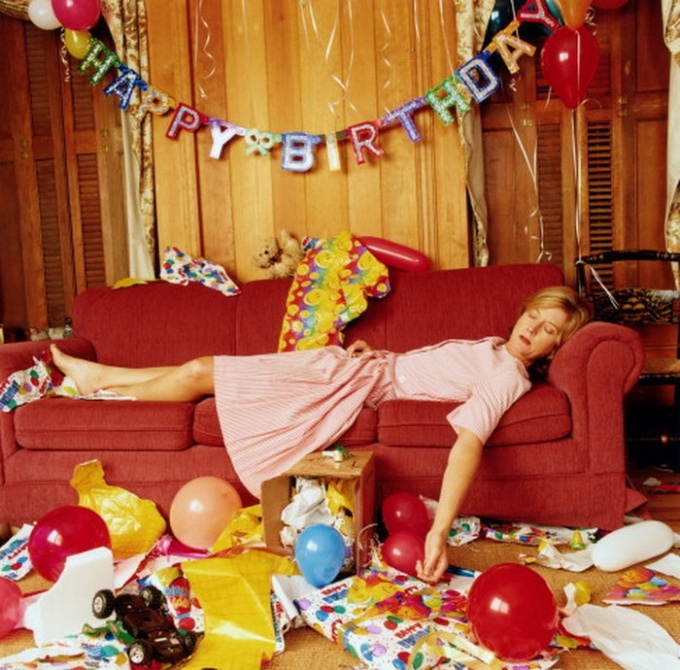 There will be games, contests and everything that will give the guests and the birthday girl bored. This holiday is more interesting to spend outside in the Park, but if the Day of birth falls on the cold season, the house is also perfectly will reign the atmosphere of the festival. Ordering service in the Agency, goes to order a birthday cake and the purchase of drinks and snacks. Services Agency easy to replace own images and playing Board games and holding competitions. Daughter maybe a little to participate in the organization of the holiday. For example, to distribute to friends and friends invitations. When preparation is finished and the day came for the birthin advance, such as at night when the baby is sleeping to decorate the house. The reception will occur during the day, so the whole evening you can happily have fun, and in the end to make eating cake and unwrapping presents. Good holidays to you! Make a list beforehand of gifts and let the guests to 3 identical dolls 5 dresses was not a surprise. A birthday is a celebration in which the guest of honor may indulge in all that pleases him. Once a year you become the object of everyone's attention, all the congratulations and praise are addressed to the birthday you. To this day I want something special and a good holiday, of course, requires proper training. First you need to determine the list of invited guests. For the convenience of do not list of people in mind, and make a list in Notepad, then you are sure no one will forget. Everyone you want to see on your birthday, should be warned in advance about a week people should get a verbal or written invitation, because everyone needs to adjust their plans. After the guest list laid out, you need to decide where you will celebrate the holiday. By and large, you have two options. Either you satisfied birthday on their own (at home, outdoors, in the country), or go to a cafe or restaurant. If you tend to the food option, then organize the occasion simply. You need to call or walk in to any establishment in advance to book a table. Don't leave it too late! It will be extremely frustrating if the day before a holiday will be that no more. One of the advantages of such a holiday is that you don't need to cook the meal, and indeed, every guest can order meals to their own taste. It is best to immediately pre-order, which will include drinks and snacks. They can begin the feast, while preparing basic dishes. Choose a spacious place, in which you can dance. If the company is big and noisy, it makes sense to order a separate room or area in order not to disturb others. If the birthday is held on their own, the difficulties with the organization appears much more. First, you need to consider the menu. Coming up with meals, try to consider the tastes of all the audience, it has not turned so that the only vegetarian in the company's hungry as all the dishes with meat. Make a list of necessary ingredients and go shopping. 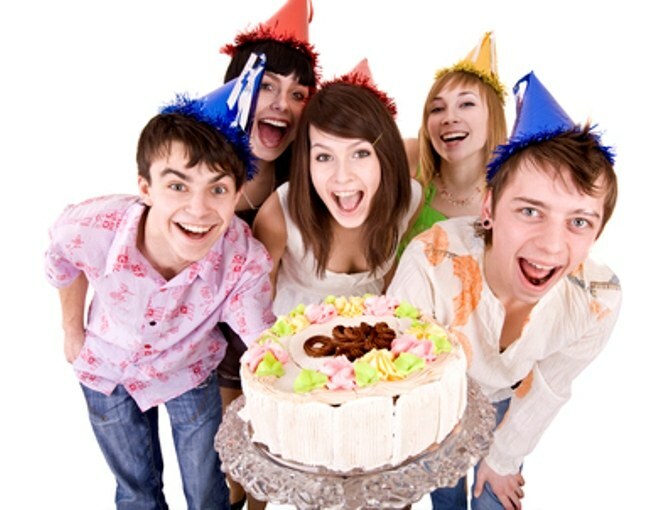 Remember that guests expect to have fun on your birthday, not to work! So no need to force someone to help themselves. To take the help of guests only in case if they will offer it. Consider when it would be a change of dishes so that guests do not stay hungry in anticipation of hot. To put on the table all the food at once, too, should not something have time to cool, or to melt, and without getting in someone's plate. Birthday is not only a festive dinner, but also entertainment. If the apartment is not enough space, you offer your guests to play sedentary games, for example, Association or guessing the word on his forehead. If space allows, you can play in pantomime (without words when you need to show a word or expression) or dance. Don't forget about the neighbors! Late loud dancing are unlikely to appeal to their tastes. Ideally, after the feast you can go to a night club, such a change of scenery will be a good choice. On the eve of the birthday of their beloved child most parents wonder where and how to celebrate it. You want a holiday that would be remembered to the child for a long time. The birthday set. The choice depends primarily on the material possibilities of the family. To celebrate the birthday of the child in nature can be fun and unusual, if the celebrant was born in the summer. Very suitable for this cottage, vacation home, tourist base. You can celebrate this joyous occasion in a narrow circle, and to invite families with children. Adults can dress as fairy tale characters and to organize competitions and various competitions among children or participate with them. Such events bring families together and leave pleasant memories. A birthday celebration at home has many positive aspects. First, pre trouble will create an atmosphere of fun. Children and their parents can cook and decorate a festive table. If there is time, you can order a meal in a café with home delivery. Now there is a widespread service – call entertainers. If in advance not to tell the child about it, most likely it will be a real surprise. For example, children are still sitting at the table, and suddenly somewhere there is a theatrical show, people in costumes of fairy tale characters, puppets. The delight is not the limit! Kids will surely remember this birthday for a long time. Whichever option for celebrating children's birthdays were not selected, as long as it was memorable, fun, and like the hero of the occasion. Birthday in the cafe lately is one of the most common and has a number of advantages. The first advantage is that for a holiday you don't have to cook and clean the dishes. If the room space allows, you can play outdoor games. In addition, parents can relax and have fun with the children. However, this is not too cheap. The order of dishes is usually made in advance, determines the duration of the holiday. Again, professionals – animators who will amuse children and will give parents the opportunity to relax. One of the unusual variants can be called the day of the birth of the child in the bowling alley. Usually, there is a cafe where you can eat delicious meals. Bowling is both fun and at the same time, sport, suitable for children from 10 years. You can form teams of adults and children, organize competitions. Children will be interesting and fun, and, most importantly, a holiday to remember! 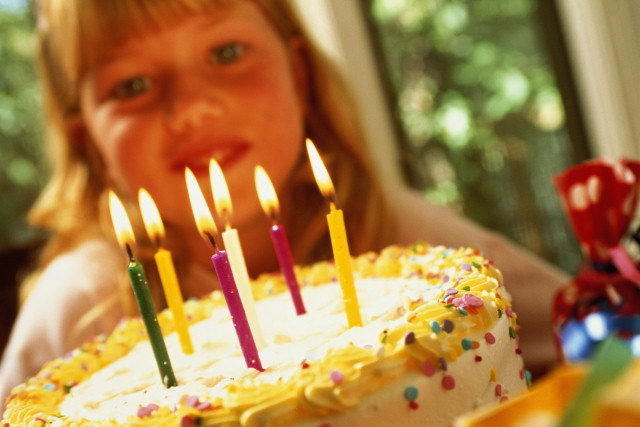 The most important holiday of the year for any child is his own birthday. Of course, every parent wants to please their child, to make sure that this day was unforgettable. 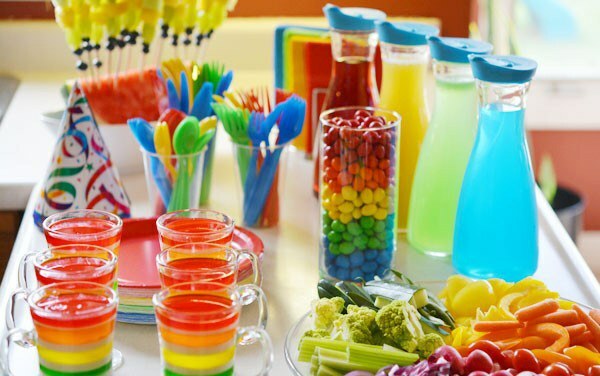 Of course, you can use methods that are time tested to prazdnovat home or in a cafe, but to celebrate the child's birthday can be more unconventional way. The water Park is a place that loves every child. In fact, that loves kids, water and slides. Parents will need to collect the company of children and be sure to instruct them about safety. As a rule, water parks, the animators, which will help to give you water competitions. Headache on account of cooking food is no longer, as in the water Park you can always eat in the cafe. The child's birthday in the summer – is, first of all, good weather that will allow you to organize a holiday in the fresh air. Can all together go to the country, recreation or just to the forest edge. The main thing – to think of the story of the holiday. Maybe you play a whole scene with other children in honor of the birthday. You can consider a number of quests. For example, initially gather all the crowd home and read the message, which came from the name of the king. The message may say that his only daughter is in the thrall of the evil Baba Yaga or the dragon. The children must save her. Then the whole crowd go to a scheduled place and conduct competitions that will help to liberate his beloved daughter of the king. The birthday child 10 years can pass in a bowling alley. By choosing this option, parents free themselves from puzzles with holiday table and fun contests. That children do not get bored at the bowling alley, make sure in advance about the animator. 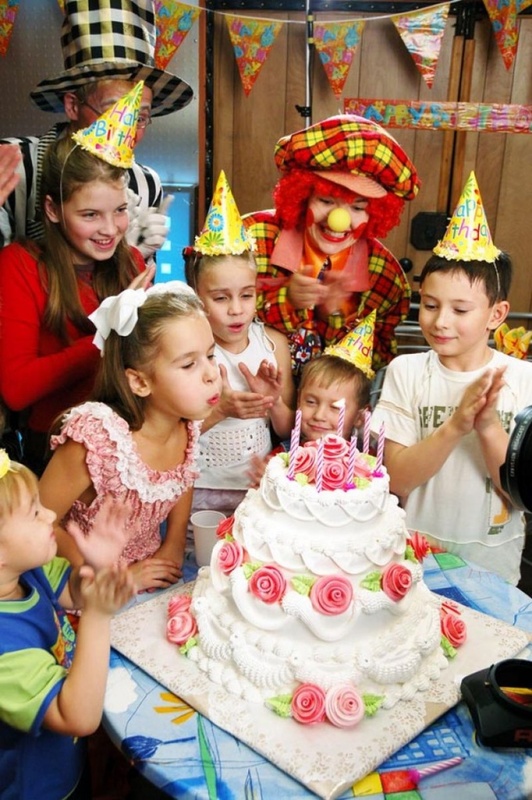 The child's birthday 5 years can be arranged in the kids club under the supervision of the animator and educator. The kids will ride with slides, swim in the pool of balls and jump on the trampoline. After the kids club, you can go the whole crowd is birthday cake. Dear parents, do not feel sorry time and forces for the organization of children's holiday. Remember that the most pleasant memories are memories of childhood.